There are many different types of ants that may live in your yard. When they swarm their mounds can cover large areas of lawn. 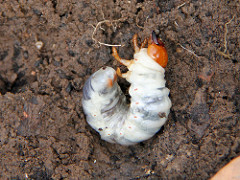 They are unsightly, they can kill your lawn, and may pose a health risk to your family and pets. 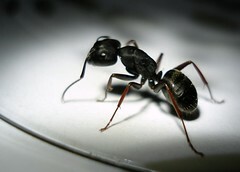 If the ants get close enough to your home they may also start invading your home. Scent trails: Ants leave an invisibnle chemical trail which contains pheromones for others to follow once they locate the food source. All ants make mounds. Some are bigger than others. One of the main ants to watch for are Fire Ants. They form very large mounds and swarm whenever the mound is disturbed. 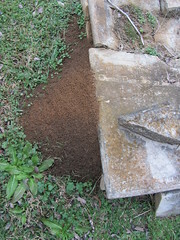 The main danger from fire ants is their tendency to swarm, cover their victim and bite all at once. Reaction to an ant bite can range from a simple bump that itches or a day or so to death. So care must be taken to properly identify and eliminate their mounds. Not counting homeopathic methods there are two main ways to treat ant bites. General allergy medications such as Benedryl and topical creams to relieve he swelling and itching. Of course when in doubt get professional help from your doctor. AfterBite Chigger and Ant is a powerful itch and sting treatment that provides immediate relief. Specially formulated gel contains baking soda and tea tree oil to soothe the skin, alleviate inflammation and stop the itch and pain from nasty chiggers, fire ants, bees, wasps and more. Eliminates Pain & Itching Fast! Don’t Scratch! Scrub with Mitigator! itching is reduced and the bite area heals more quickly. Good start to your article, but HOW do you get rid of them? You left that bit out.